Never Pay Full Price for These 7 Items Again! Toothpaste, Toothbrushes, and Deodorant—Out of all the items on this list, these are the ones you’re most likely able to get for free. By checking out the local ads and the Internet, you will ALWAYS find a coupon for brand name dental products and deodorants. Combine your coups with special sales going on at the grocery store, and you can walk out with a new toothbrush, mouthwash, one of those cool flossy things, and whitener without reaching for your checkbook once. Paper Products—toilet paper, paper towels, tissues, you should never be paying full price for these items. Don’t have access to a newspaper? Check out Coupon Clippers for some great steals on all of the paper products you can imagine. Diapers—any parent out there will tell you how crazy expensive diapers are, but they don’t have to be. Coupons for diapers are always out there, so why are you handing over your hard-earned money when you don’t have to? Cosmetics—Are you a Covergirl or a Maybe it’s Maybelline type of gal? Doesn’t matter, name brand cosmetics always have coupons in your local ad section of the newspaper. So stock up on mascara and blush for half the price when you can! Cleaning Supplies—looking to finally clean out the fridge but kinda scared you don’t have a product strong enough to fight whatever used to be in the Tupperware in the very back? No worries, you can find a coupon for Clorox to Windex and everything in between in any newspaper or online. Cereal and Pasta—your kid’s screaming for a box of Lucky Charms and you’re about to hand it over until you see the price. It can’t really be that much for one box can it? It is…unless you remembered to find a coup! 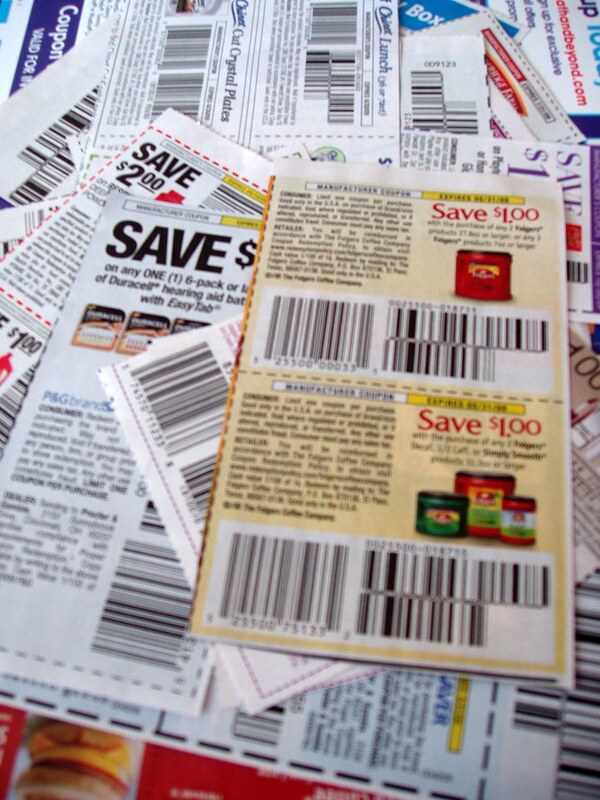 Coupons can be lifesavers as well as money-savers if you take the time to look. A great site to check out is It’s Free At Last! Check out all the deals in one place. Yogurt—great for breakfast, packed in your kid’s lunch, or just for a snack, yogurt is an easy food to keep in the fridge. What’s also easy about yogurt? There are always coupons for it! Check out Red Plum for some great deals organized by store. So have you started digging through the trash yet to find the ads you threw out? What are your favorite things to save money on? Sound off in the comments!